Save time and effort with the Loyal Manure Spreader.28.6 cu. 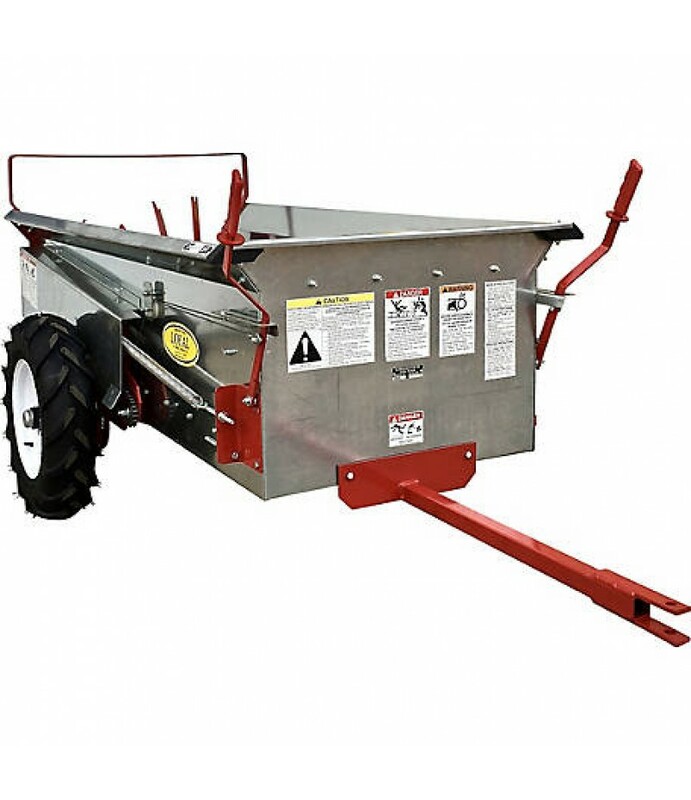 ft. (23 bu)Up-front controls for apron-chain and beater14 ga. galvanized steel box with flared sides/powder-coated, heavy-steel framePull-behind, ground drivenAny 10+ HP..
Save time and effort with the Loyal Manure Spreader. Coverage Area: 600 sq. ft.